Heath Evans is the Communications Coordinator at the AFL Players’ Association. 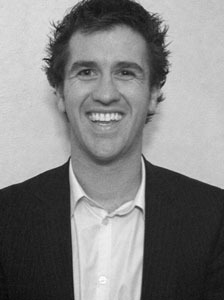 Heath has a wealth of public relations and marketing experience within the sporting industry having worked at the Sports Federation of Victoria (vicsport), The World Championship Sports Network, Sports & Entertainment Group, My Heroes and AFL Samoa. He has a genuine passion for social media and is constantly experimenting, with his latest Twitter brainchild being the creation of the Social Media in Oz (#sminoz) hashtag, which is designed to connect users of social media within Australia. You can connect with Heath via @heath_evans or on LinkedIn. I turn off my alarm at 6.30am and roll over to check my Twitter, Facebook, email and Chess with Friends accounts in a flurry of morning activity. This is the reality of social media; while you sleep, the biggest issue in the world, or at least football, may have occurred. Working within the AFL Players’ Association there is fresh news every day so it is crucial that as soon as I get to work, I check our media monitoring service for any issues or mentions which require immediate attention. I assist with media inquiries and help prepare statements when required. As a Communications Coordinator, with a focus on digital marketing, my tasks often revolve around what is occurring within the organisation and developing strategies as to how we are going to communicate this to the broader public. My other focus is looking at how we can build our online community and encourage more fans to interact with our brand through our social media accounts, in the hope that one day they will become virtual ambassadors for the AFLPA and more importantly, the AFL players. Fans should have a full understanding of the tremendous work players do within the community and the reality of what it is like to be an AFL player in the modern day. I coordinate our hard copy publication, which requires working with players to create new and interesting content which is unique in the marketplace. Tomorrow, I am interviewing Fitzroy legend Kevin Murray; a dream come true! I first realised I wanted to work in communications when as a teenager I was the only one who loved TV advertisements and the thinking behind them. I was fascinated with the carefully crafted messages and manipulation of language and loved to wonder which markets they were tailored for. I had assumed everyone shared this interest but when my family and friends muted the advertisements I quickly realised this was not the case. This realisation came when I was about 18 and from that moment I had no doubt where I was heading. My communications mentor is my first boss, Trevor Young. He inspired me to continue with Twitter without him even realising it. When I first began two years ago I nearly gave up but then I saw his account and thought “if he is willing to begin learning about this at his age what the hell is wrong with me! If I start today then at least I will progress faster than if I give up now and start in a year”. I think Trevor is an exceptional operator and I have certainly followed what he does and the articles he reads to try and improve myself in this industry by keeping up with the latest trends. My communications hero is probably my grandpa as his joke-telling ability is second to none and his understanding of how to work a crowd is classic! My iPhone would be the obvious answer. But I love all types of online measuring tools as these are not only great indicators to show the boss that the company’s online interaction is growing but also to provide an insight into what type of communication and content people are responding to. These tools are only useful if you pay attention to them and respond with a plan. At the moment my biggest challenge is being new to my organisation, as I have only been at the AFL Players’ Association for just over a month. Understanding how the business operates and the huge variety of tasks each staff member performs has meant that every day I am learning more and more about the organisation and then trying to convey that to the public . To keep with the sporting theme, my favourite campaign was when I was working with AFL Samoa in the 2008 AFL International Cup. During this tour the Peace Team was also introduced. This was a mixed Palestinian and Israeli team and seeing their interaction was one of the most inspiring experiences of my life as it showed how sport can break down cultural and religious barriers. I would recommend people read about this campaign. The Samoan boys were so humble and polite in the way they conducted themselves and it made me realise how blessed we are in Australia. They were not fantastic footballers but before each game I was privileged to be in the room as they sang in prayer, preparing for the game ahead. They would sing at dinner, at lunch, at game time, free-time and basically at any opportunity they had. They were like a modern version of the seven dwarves but much bigger and much more intimidating! See for yourself. So I turned the focus of our program into the cultural uniqueness of this team and highlighted the different ways that different cultures prepare for Aussie Rules Football. I recorded the boys singing and had them perform at various events during the tour. Word spread very quickly and the phone didn’t stop ringing with clubs, organisations and most importantly newspapers and radio stations asking them to perform. They performed on four radio stations and were a hit. This gives me hope for the amazing experience we will witness when the AFL becomes a global game. I love the fact that he incorporates full-scale entertainment into his brands and makes you feel as though he is genuinely behind everything that Virgin does. Whenever I meet a staff member from Virgin I genuinely feel connected to Richard and I believe they do too. The most recent change I have noticed is the creation of purely social and digital media jobs. When I began, MySpace was all the rage and Facebook was relatively new. I wrote my final university assignment on how I thought Facebook, Myspace and Youtube could change the Marketing and PR industry and I was almost laughed out of the university. I was too embarrassed to give it to the organisation I had written it for as part of my internship. Organisations have now come full circle and many encourage social media, whereas when I began my career it was almost a “sackable” offence to be caught checking Facebook. Hard copy publications. I would rather spend the money on getting unique content and have an impressive website to engage fans once they arrive. This also makes it far easier to measure who actually reads your publications and what content they desire. Creative, good personality, loyal, honest, funny. I am always more excited to be at work when there are good people around me and fortunately the AFL Players’ Association has a genuinely great team! In sport the NBA is the pinnacle! Their branding, delivery, game day activation and social media presence is full-scale entertainment. Within the NBA there have been few brands better than Nike Air Jordan! I think the best thing I ever did was follow people within the PR / Marketing industry whom I admired and made sure I read every article they recommended and every blog they wrote, so that I was keeping up with the best in the business. I wish I had begun work experience earlier at university as it is all about who you know. Don’t be shy to show passion and energy and actually show that you enjoy your work. Don’t hold anything back and throw all your energy into your work and you will lift those around you. Finish this sentence: ‘Communication is… one of the only things that every person in this world does.